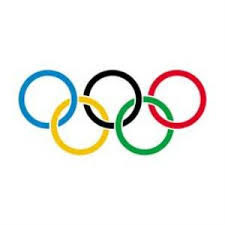 The early Olympic Games were celebrated as a religious festival from 776 B.C. until 393 A.D., when the games were banned for being a pagan festival (the Olympics celebrated the Greek god Zeus). In 1894, a French educator Baron Pierre de Coubertin, proposed a revival of the ancient tradition, and thus the modern-day Olympic Summer Games were born. Speed skater Bonnie Blair has won six medals at the Olympic Winter Games. That's more than any other American athlete. 3 Number of times the Olympics have come to London (1908, 1948, 2012). 10,500 Olympic athletes competing for 205 nations. 4,200 Paralympic athletes competing for 165 nations. 302 Olympic events over 19 days. 503 Paralympic events over 11 days. 8,000 Inspirational people carrying the flame across the country in the Olympic Torch Relay, on a 70-day journey through more than 1,000 cities, towns and villages.